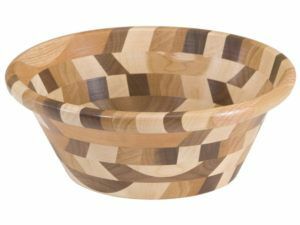 Perfect for salads, stews, cereal, popcorn – and more – carved wooden bowls from Brandenberry make a welcome addition to your dining room. Plus, we’re offering several styles to choose from. So we’re confident you’ll find the ideal set for your tastes and budget. 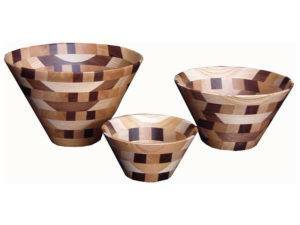 A distinctive mixed wood bowl set. An elegant oak wood bowl set. 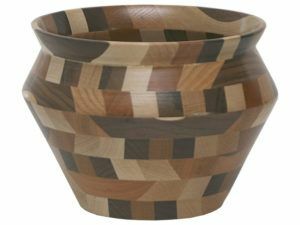 This striking solid hardwood bowl set is full of character. A very unique large mouth bowl made of mixed wood. 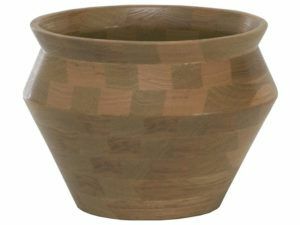 A gorgeous solid hardwood checkered large-mouth bowl. Display a floral arrangement in this mixed wood vase. 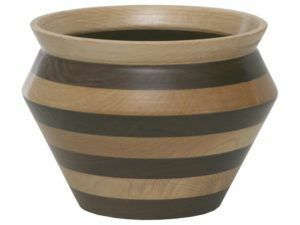 Add this gorgeous solid hardwood vase to your décor. This striped vase is the perfect center piece for your dining room table. 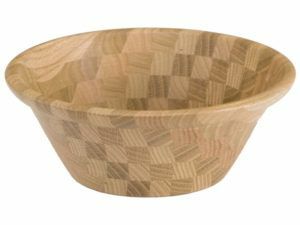 Whether you’re enjoying a salad or stew, popcorn or fresh fruit, a wooden bowl gives you a connection to nature and a sophisticated feel like no other type of bowl does. 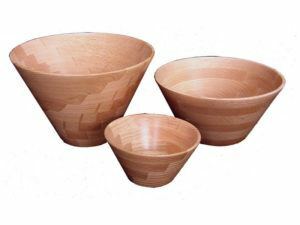 Also, you can use some hand carved wooden bowls for floral and other decorative arrangements. And the best place to get your wooden bowls is from Brandenberry Amish Furniture. How will our bowls blend with your other dishes and tableware? Wooden bowls have a classic elegance. So they mix well with glass, ceramic and stoneware pieces. Plus, they are ideal for everyday use as well as special occasions. 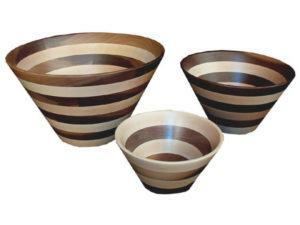 So check out the collection of mixed wood and striped bowls. And they’re proudly brought to you by Brandenberry. Where we create furniture that’s Amish built for life, and custom-crafted for your lifestyle.